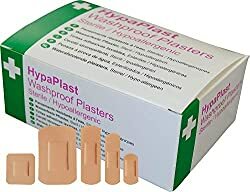 96086 products found in Plasters. Your request for Plasters revealed a total of 696086 results. 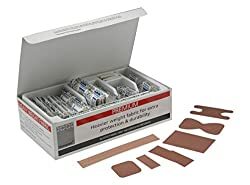 Product Features: A collection of St John Ambulance adhesive dressings in different sizes., High quality washproof plasters, Each plaster is sterile and individually wrapped, Plasters are latex-free, Contents: 30x 2.5cm x 7cm plasters; 30x 2cm x 7cm plasters; 30x 4cm x 4cm plasters; 10x 5cm x 7.5cm plasters, Premium elastic fabric plasters - Elastic fabric for optimum conformability.